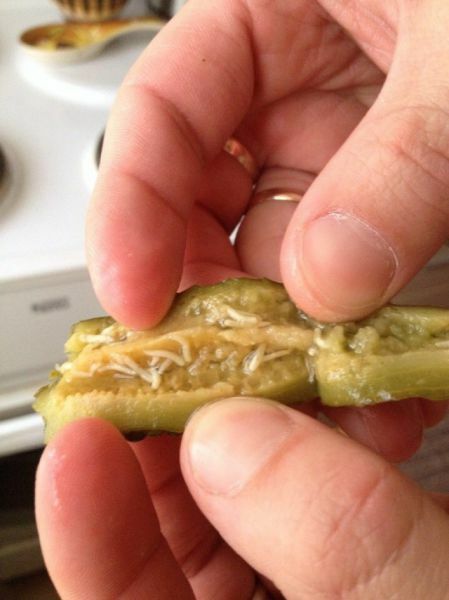 Those are protein injections - it makes the pickles tastier and healthier! Mall in St. Petersburg, Russia. Some times ago it was fine. 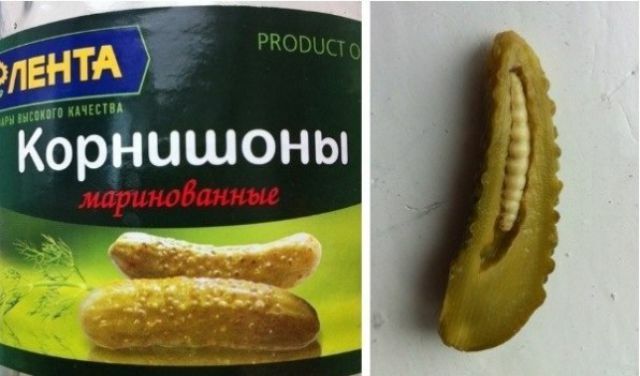 Probably has a better taste than the pickle itself. 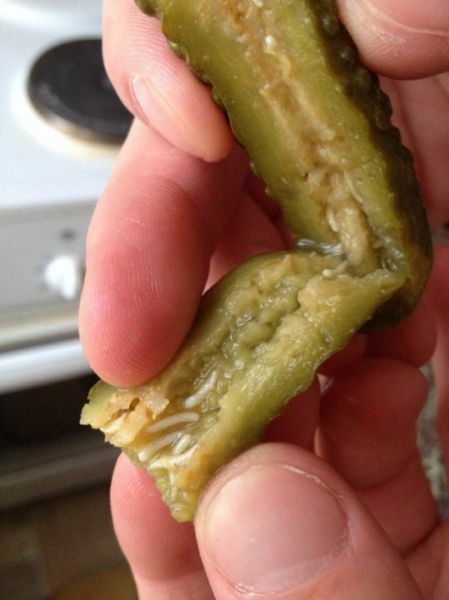 Disgusting things. 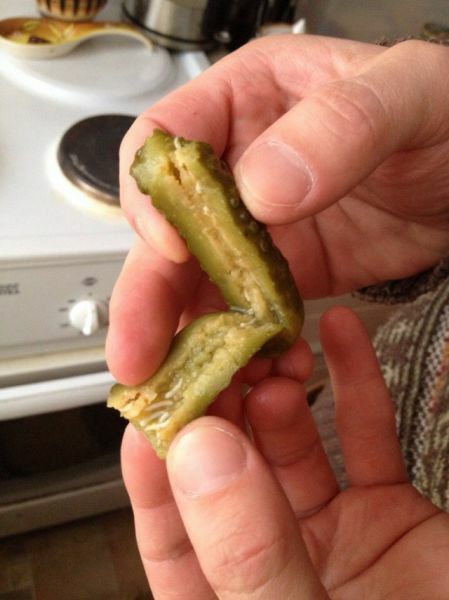 Great, now I'm going to be dissecting every pickle I eat. 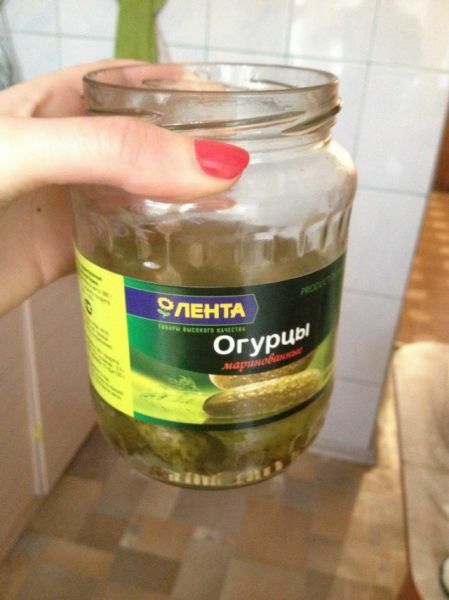 It's ok they are pickled.